"Marketing Strategy is the north star to coming up with a plan that is both focused and achievable." Most companies don’t have a marketing strategy. They’re doing marketing “things” like a big ‘to-do” list without really knowing why. Your success depends on a coordinated plan that aligns all marketing and sales activity with a clearly thought out and targeted message. 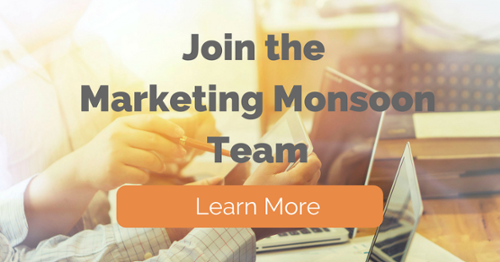 The Marketing Monsoon team provides expertise in marketing, strategic planning, sales and lead generation to achieve the objectives of your campaigns. Our team of marketing experts will work with you to develop a strategic marketing plan in alignment with your vision, values and mission to precisely position your company in a way that differentiates you from your competitors.